Last November’s 106th Grey Cup presented by Shaw and 2018 Grey Cup Festival presented by Shaw were together named the Canadian Sport Event of the Year on Wednesday by the Canadian Sport Tourism Alliance’s PRESTIGE Awards. 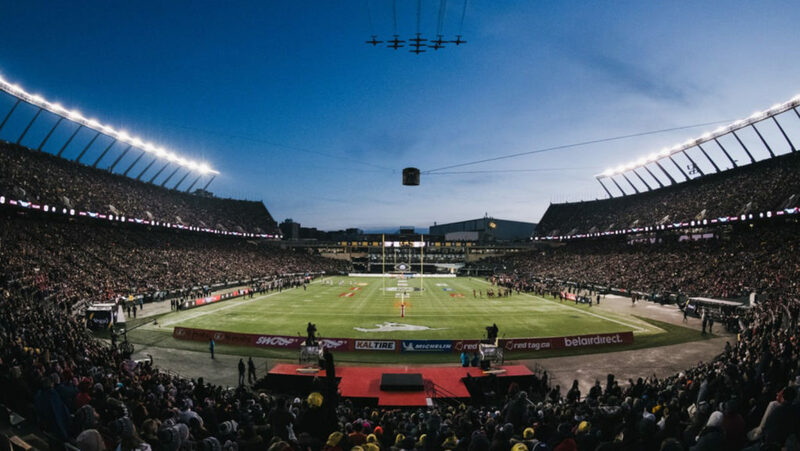 From an incredible week of events in the lead-up to the big game, through Terry Williams’s electrifying return late in the first half and Alessia Cara’s phenomenal halftime performance, the week set a new standard for Grey Cup excellence. The PRESTIGE Awards — short for Program Recognizing Exceptional Sport Tourism Initiatives, Games & Events — are now in their 13th year, and honour exceptional events, people and organizations. Grey Cup hosting duties will remain in Alberta this year, as the 107th edition will be hosted by the city of Calgary on November 24th.